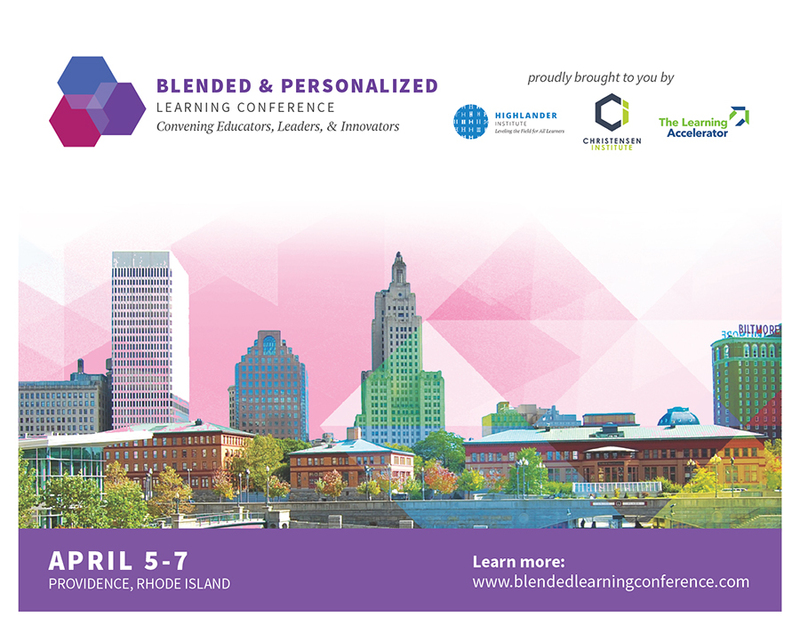 From Thursday, April 5, through Saturday, April 7, 2018, The Learning Accelerator will team up with the Highlander Institute and the Christensen Institute to showcase the best classroom, school, and district implementers of blended and personalized learning across the nation at the 2018 Blended & Personalized Learning Conference in Providence, RI. The event is a chance for educators, leaders, and innovators in the field to discuss blended learning in its current state – from day-to-day implementation to strategies and systems that effectively support replication and scale across schools and districts. The conference will encompass three days of sharing, networking, and collective learning to support blended and personalized learning in classrooms throughout the country. Participants are invited to learn about leading transformative change, explore the possibilities of education technology, tour actual classrooms in Rhode Island to observe key blended and personalized learning elements in a K-12 setting, and personalize their conference agendas to discover and share best practices suited for their interests, instructional levels, and experiences.